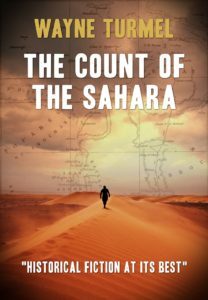 My fascination with Byron de Prorok has been ongoing for many years–that’s why I made him the center of The Count of the Sahara. A lot of my readers think of him as a failure and a ne’er-do-well, which is only part of the story. David Kennedy, a researcher from both Oxford and the University of Western Australia, outlines how de Prorok was among the first to make filming his discoveries a “thing”, including aerial and underwater photography. Of course, his personal demons overtook any positive contributions he made to the field. 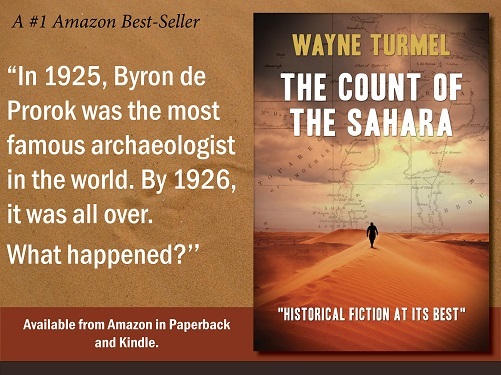 A number of folks have told me that after reading The Count of the Sahara, they looked up old Byron. Here’s another place to learn more about this mysterious figure. Had a great time doing this one-hour radio interview with Dr. Joseph Schuldenrein on November 18. 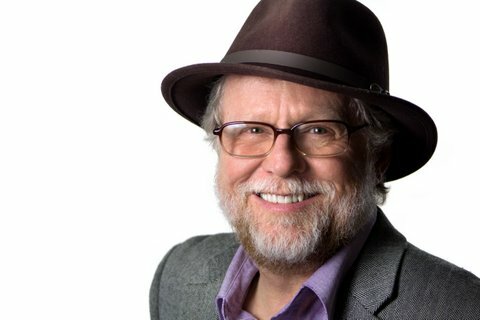 We discussed Byron de Prorok, why presentation skills matter to scientists, and why I could never…. ever…. be a real archaeologist. 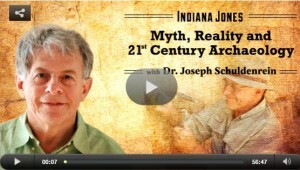 Check out the Indiana Jones: Myth or Reality podcast. What a blast we had on November 9. 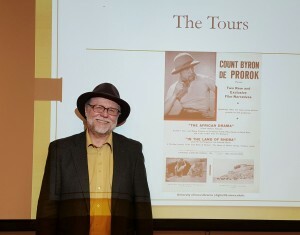 The Logan Museum at Beloit College invited me to speak to the Three Rivers Archaeological Society about Byron de Prorok. 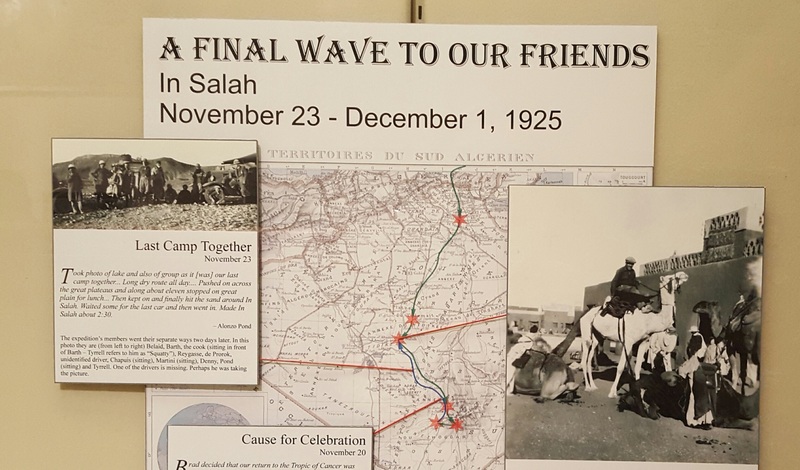 This was part of their exhibit for the 90th Anniversary of the Franco-Saharan Expedition: Blue Veils, Black Mountains: Alonzo Pond’s 1925 Expedition to Southern Algeria. Michael Tarabulski and I tour the Logan’s exhibit based on his years of research. Great finally meeting him in person! First, I got to meet Michael Tarabulski, whose research on Byron de Prorok is the cause of all my troubles, and The Count of the Sahara couldn’t have happened without him. 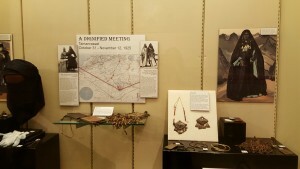 Part of the exhibit. The character of Belaid’s wife, Tadefi, was based on the painting in the upper right. Then we toured the exhibit… seeing photographs, film and artifacts from the original site, and reliving moments of the book. The story really came alive. Part of the terrific exhibit at the Logan Museum. Finally we spoke at the Three Rivers Archaeological Society, a mix of academics, hobbyists and students. What a blast. Had a blast speaking to the group about Byron de Prorok and how he’d make a great Kardashian. I am well and truly stoked to be speaking at the Logan Museum/ Beloit College on Monday, November 9. Below is a copy of the press release for the event. Of all the archaeological expeditions in the Logan Museum of Anthropology’s history, none remains so tangible in public and institutional memory than Alonzo Pond’s journey across the Sahara desert in 1925. “Blue Veils, Black Mountains,” the Logan’s latest exhibition takes a full accounting of the Pond trip. But like any good expedition, it was not pursued by Pond alone. On Monday, Nov. 9, the Logan Museum will welcome a pair of guests to shed some light on perhaps the most famous member of the expedition, “Count” Byron de Prorok. The event will be held in the Godfrey Anthropology Building, Room 102. 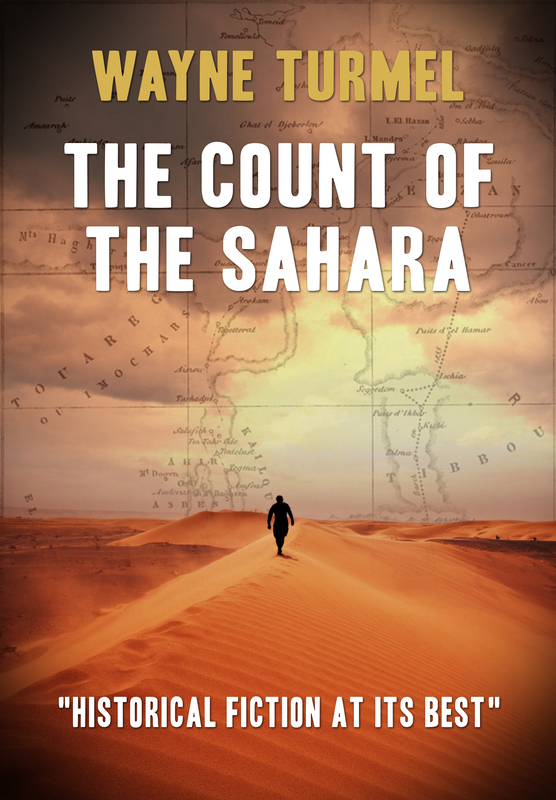 Immediately following the screening, author Wayne Turmel will discuss his new work of historic fiction, The Count of the Sahara. 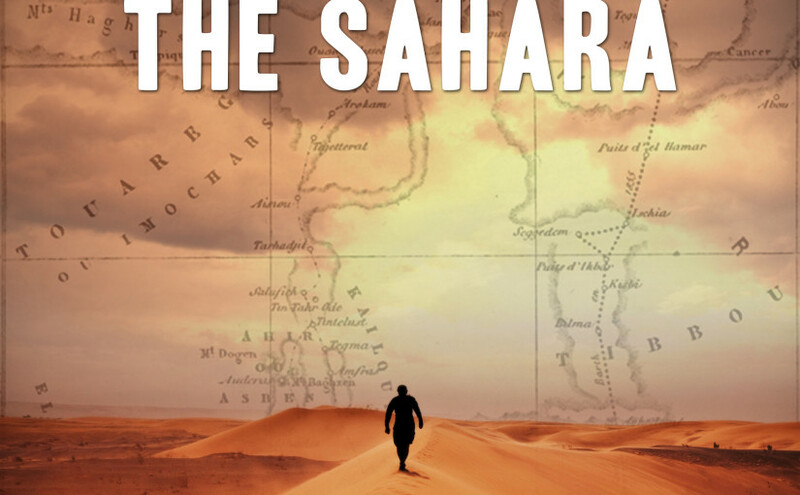 The novel, told from the point of view of Byron de Prorok’s assistant, follows de Prorok on the cross-country promotional tour he undertook during the year following the Pond expedition as well as a number of flashbacks to the expedition. As readers will note, there is a bit of discrepancy between Prorok’s recollection of events and how things unfolded during the Pond expedition. Turmel’s e-book was one of the most downloaded ebooks on Amazon worldwide the week it debuted. 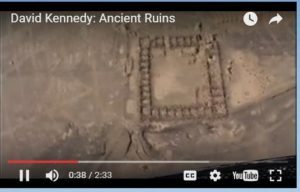 Prorok “drove the archaeological purists crazy,” Turmel notes “because Prorok declared some of his discoveries the greatest since King Tut’s tomb. 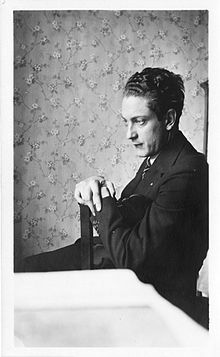 Tarabulski and Turmel’s presentations will tell the story of the rise and fall of Byron de Prorok. Following the presentation, the Logan Museum will be open at 6:30 p.m. so attendees have an opportunity to visit the exhibit both before and after the presentations. The Logan Museum is located at the corner of College and Bushnell Streets on the campus of Beloit College.